No matter where you are in the world, there is something we can report on with certainty, the Animal Crossing mobile Nintendo Direct is over, but the game is worth checking out! 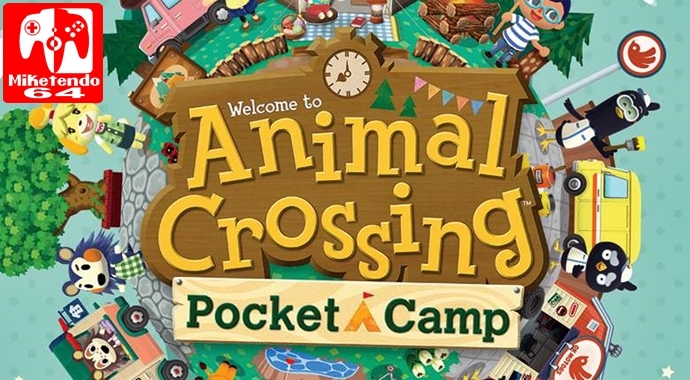 Revealed as being Animal Crossing: Pocket Camp, the new mobile title from Nintendo, is an Animal Crossing game that throws you into the shoes of the new Manager, who must manage a campsite. Don’t worry though, it’s not going to be a mundane experience as you will be able to interact with animals and take on requests, craft furniture and even friendships. There will also be Leaf Tickets, a Marketplace with a pop-up shop and even a camper van of your own that can be decorated. REDMOND, Wash., Oct. 24, 2017 – The next time you go camping, make sure to bring all the essentials: a tent, a sleeping bag, s’mores and, of course, the Animal Crossing: Pocket Camp game. One of Nintendo’s most enduring franchises, Animal Crossing allows players to live a whimsical life as they interact with a wide range of other animal characters brimming with personality, decorate and expand their home, and learn more about the community they are part of. In the first Animal Crossing game for mobile devices, you can interact with animal friends, craft furniture items and gather resources while managing a campsite. Animal Crossing: Pocket Camp launches on iOS- and Android-compatible mobile devices in late November. A recent video presentation highlighted many of the game-play features in Animal Crossing: Pocket Camp. To view the presentation in its entirety, visit https://www.nintendo.com/nintendo-direct/10-24-2017/. Leaf Tickets: Leaf Tickets can be earned through regular gameplay or purchased using real-world money, and can be used in a variety of ways in the game. For example, they can be used to shorten the time needed to craft items, more easily acquire materials or acquire unique camper exterior designs. Friendship Level: In Animal Crossing: Pocket Camp, you can chat with your animal friends or fulfill their requests to raise your friendship level. If you level up your friendship or decorate your campsite with an animal’s favorite items, she or he might pay you a visit. Animal Crossing: Pocket Camp will launch for free on iOS and Android mobile devices in late November. For more information about the game, visit https://ac-pocketcamp.com. We was going to share then but usually it is frowned upon by Nintendo, which is why we have chosen not to get the game when other sites are.